For those who thought that the Bentley Bentayga was the best luxury SUV money can buy, well, Bentley has gone a level ahead and has revealed the Bentayga Mulliner. The Bentayga Mulliner features bespoke craftsmanship with a new veneer concept, Mulliner interior colour split with contrast embroidery, a Mulliner bottle cooler and new 22-inch Paragon wheels. 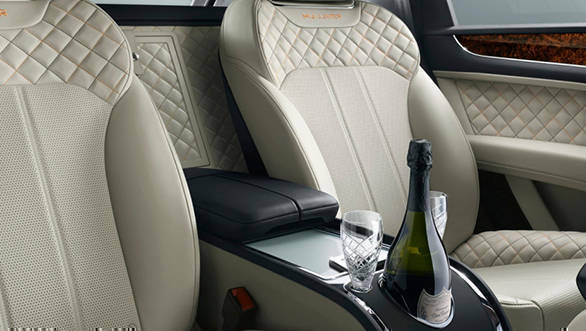 The cooling compartment integrated into the rear console features two handcrafted Cumbria Crystal champagne flutes and an illuminated bottle chilling ring. The 20-channel, 1,950W Naim stereo is also a standard feature on the Bentayga Mulliner. Mulliner is known for its coachbuilding prowess, and its ability to integrate luxuries of any manner into a Bentley harks way back to 1920 when WO Bentley himself commissioned Mulliner to build the body for the EXP1 racer. 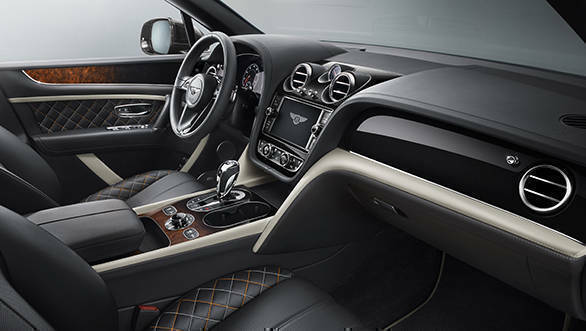 Mulliner now is the personal commissioning department for Bentley and is known as Bentley Mulliner, churning out exquisitely crafted luxury cars for the British marque. The engine, though, remains untouched as the Bentayga Mulliner is powered by the same 5,950cc, twin-turbo W12 petrol engine as the Bentley Bentayga. With an output of 608PS and 900Nm, it is capable of accelerating from 0-100kmph in 4.1s and then onto a top speed of 301kmph. Variable displacement technology allows the Bentayga to have an emissions output of just 296g/km, claims the company. 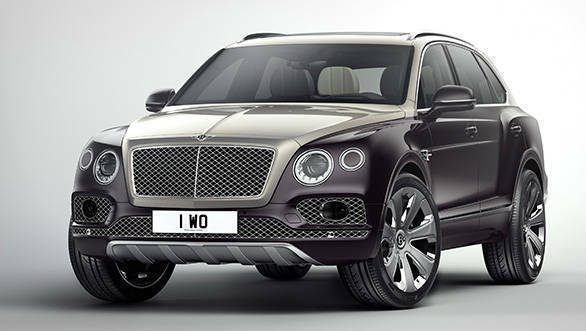 The Bentayga Mulliner will be produced in limited numbers though Bentley has not yet specified how many. A statement on the same can be expected at the Geneva Motor Show where a one-off Bentayga Mulliner will be showcased.